Find fun things to do in Emeryville, CA. View our list of attractions, activities, events, restaurants and visitor information. This Oakland motel offers guest rooms with satellite TV and free WiFi. Kaiser Permanente Oakland Medical Center is 1.5 km away.Each air-conditioned room at Bayview Motel features a microwave and a refrigerator. The private bathrooms include free toiletries. Free Internet, Non Smoking Rooms. Currently as low as $240.00/night! Situated in Emeryville in the California region California Dream King Bay View Suite features a balcony and sea views. The apartment offers an outdoor pool and free WiFi.The apartment includes 1 bedroom and a kitchen with a microwave and a fridge. Swimming Pool,Outdoor Pool, Non Smoking Rooms. On the Oakland side of the Bay Bridge the non-smoking Courtyard by Marriott Emeryville is steps away from thriving Bay Street. Wi-Fi and an on-site restaurant keep homebodies happy. Free Internet, Swimming Pool, Indoor Pool, Restaurant, Non Smoking Rooms. Currently as low as $228.57/night! 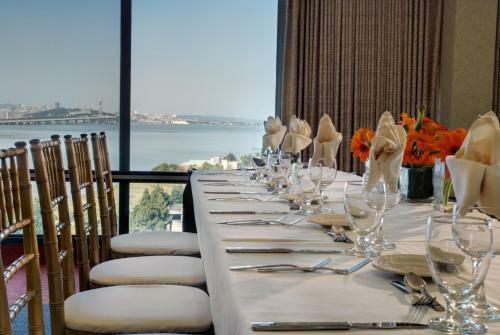 Executive Bay View Suite is situated in Emeryville. Guests staying at this apartment have access to a fully equipped kitchen.The apartment is equipped with a cable flat-screen TV and 1 bedroom.The apartment offers an outdoor pool. Swimming Pool,Outdoor Pool, Non Smoking Rooms. With in-room kitchens an on-site gym free parking and easy access to the highway and downtown the non-smoking Extended Stay America Oakland - Emeryville is like a home away from home for our guests. Free Internet, Free Breakfast, Pets Allowed, Non Smoking Rooms. Business and pleasure guests appreciate the non-smoking Four Points by Sheraton - San Francisco Bay Bridge's handy location near the Bay Bridge and next to shops and restaurants. Appealing amenities include a heated outdoor pool and a hot tub. Free Internet, Swimming Pool,Outdoor Pool, Non Smoking Rooms. Get Healthy in October Bay Street Emeryville will host free Zumba classes, as part of Dancing Saved My Life, a dance movement that celebrates life by raising funds for women suffering from cancer. With views of the San Francisco skyline and easy access to the Bay Bridge the non-smoking Hilton Garden Inn's convenient location is perfect for commuters. our guests also appreciate free Wi-Fi and complimentary shuttles to nearby Bay Street. Free Internet, Non Smoking Rooms. Currently as low as $159.46/night! A central location and amenity-packed suites make the non-smoking Hyatt House Emeryville a convenient base for exploring the San Francisco Bay area. Free Internet, Swimming Pool,Outdoor Pool, Free Breakfast, Restaurant, Pets Allowed, Non Smoking Rooms. Free Wi-Fi and breakfast 24-hour amenities and an I-80 setting steps from shopping and the train station headline at the non-smoking Hyatt Place Emeryville/San Francisco Bay Area. Free Internet, Free Breakfast, Restaurant, Pets Allowed, Non Smoking Rooms. Set 3.8 km from University of California Berkeley this apartment features free WiFi and a patio. 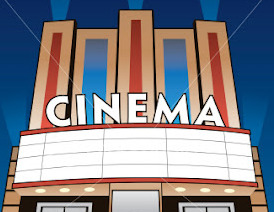 Offering free private parking the apartment is 5 km from Paramount Theater.There is a seating area and a kitchen. Free Internet, Non Smoking Rooms. Upstairs Duplex Unit - Minutes To The Bay Bridge! Currently as low as $193.60/night! Located in Oakland 2.1 km from Paramount Theater and 2.1 km from Kaiser Permanente Oakland Medical Center Upstairs Duplex Unit - Minutes to the Bay Bridge! offers free WiFi. This property is 2.2 km from Fox Theater Oakland. Non Smoking Rooms.